Jacob Rees-Mogg told Theresa May she had his ‘confidence’ tonight after she saw off his attempt to oust her has Tory leader. The Brexiteer ringleader launched a faltering coup against the Prime Minister last month and finally secured his vote of no confidence last week. But she won the dramatic showdown by 200-117 – giving her 12 months where her MPs cannot oust her. 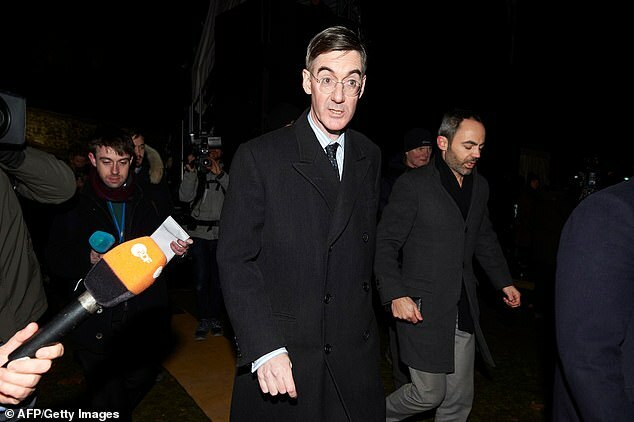 Mr Rees-Mogg has been ridiculed since the failed putsch and in the immediate aftermath demanded she still go to the Queen and resign. But in the Commons today he offered congratulations to the Prime Minister for clinging on. He praised her for ‘winning the confidence of the Conservatives in this House last week’. Mr Rees-Mogg insisted he wanted to ‘assure her that she therefore commands my confidence too’. He said he did not back another referendum, saying it was ‘better known as the losers’ vote’, saying that it would be ‘undemocratic’ and ‘divisive’. Moments after the no confidence vote was declared by Sir Graham Brady last Wednesday night Mr Rees-Mogg said the result was ‘terrible’ for Mrs May. 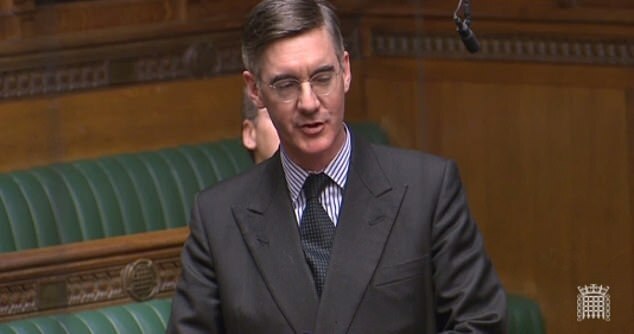 Mr Rees-Mogg’s contrition came as Mrs May dug in her heels and insisted there would not be a second referendum, a vote on her Brexit deal before Christmas or an extension to Article 50. The PM faces her fractious Cabinet tomorrow to discuss preparations for no deal amid deep splits over the way forward if and when her deal is defeated. 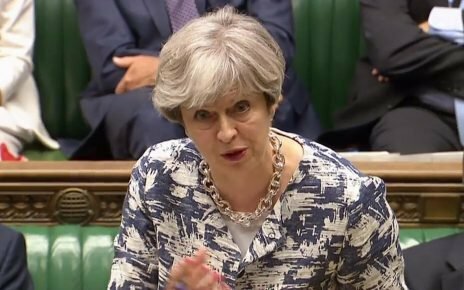 The PM said she is still hoping to secure more ‘political and legal assurances’ from the EU on the Irish border backstop, and as a result the showdown in Parliament will not take place until the week commencing January 14. Appealing for MPs to get behind her plan, Mrs May said European counterparts had made clear ‘they do not want to use’ the insurance policy in the agreement. She also delivered a stinging rebuke to those calling for a second referendum, saying it would only lead to ‘disaster’. The defiant statement to the Commons comes as Mrs May wrestles to stop the Cabinet descending into chaos, with ministers openly floating alternatives to her Brexit plan. 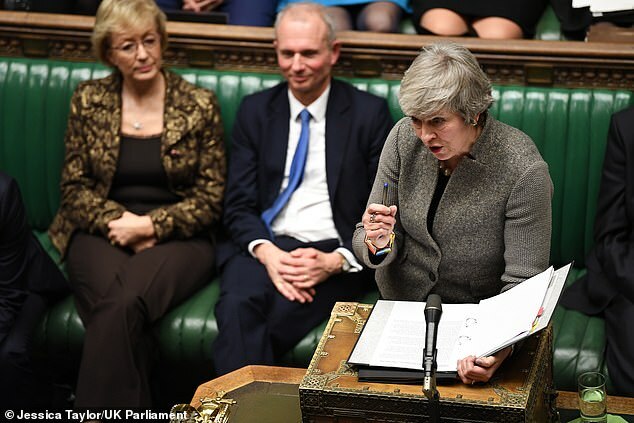 Work and Pensions Secretary Amber Rudd today risked directly contradicting the PM by insisting ‘nothing should be off the table’ if the government’s plan is rejected by the Commons. Could Jacob Rees-Mogg become the next Prime Minister? What are the latest odds on the Tory MP and vocal Brexit-backer? Ukraine's Tymoshenko: 'gas princess', prisoner, and next president? What is settled status in the UK, how to apply for it and how many EU citizens are eligible?